Today I ran into a problem which is not new to SCOM cross-platform monitoring but since this problem will hit you sooner or later it makes sense to write about it. This issue applies to all SCOM versions. SCOM uses SSL Certificates to communicate via WS-Management between the SCOM management server and the monitored server. The problem here is, that the server01 just has a “flat” common name (CN) “server01”. 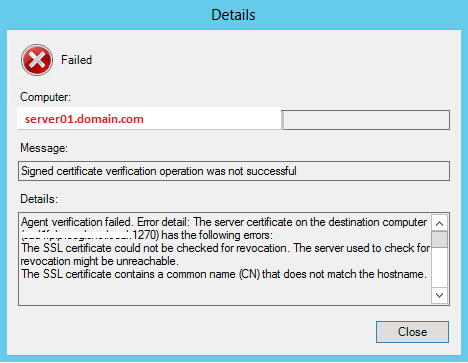 In order to authenticate successfully the CN name MUST match the FQDN (fully qualified domain name) of the name that is resolved by SCOM for this server e.g. server01.domain.com. Source and more details see TechNet. 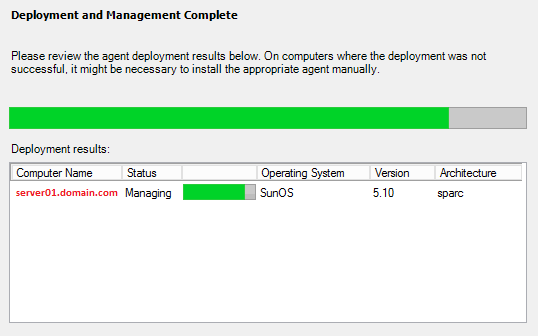 I was also facing this issue with my Suse servers and it was really an easy fix and life saver. How to solve this issue. Pls give me advice.